JOEL DELGADO: "Whatever You Are..."
Actually, I found out pretty recently that Abraham Lincoln probably never said that. But I'm sure he wouldn't mind having that quote attributed to him. Everyone knows that Lincoln was one of this country's best presidents. But he held a bunch other positions and titles prior to becoming the most powerful man in the country. He was also a lawyer and a congressman. Before that, he held a slew of different jobs that included being a store clerk, a mill hand, a postmaster and a surveyor, among others. All the while, he relentlessly pursued knowledge. He was hungry for it. Would he be remembered as one of America's most influential presidents if he wasn't good at his prior posts or didn't take the initiative to attain knowledge during that time? Probably not. Abraham Lincoln did not become the man he was when he became president. His character was forged and refined long before he ever took the oath. His circumstances and experiences no doubt prepared him for the enormous challenges he faced as president. Sometimes it's easy to get caught up in where we want to go and who we want to be. We dream about having a better job, a fancier title, reaching that next milestone in life. So often, we focus on the destination instead of the journey. We squint our eyes towards the future and miss out on the opportunities we have with who we are right now. As a result, our present impact, output and influence suffers. Are you a friend? 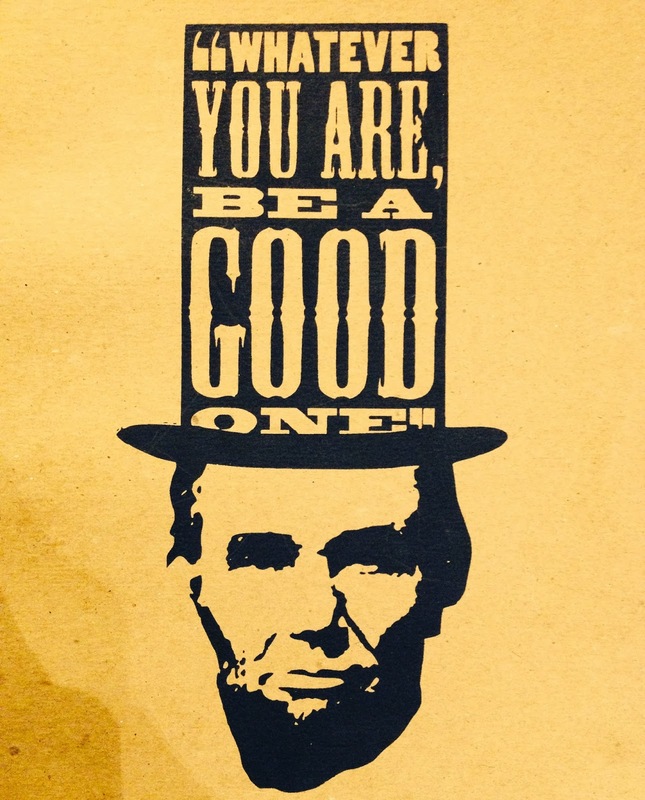 Be a good one. Are you a brother or sister? Be a good one. Are you a son or daughter? Be a good one. Are you an employee? Be a good one. Are you a leader? Be a good one. Who we are right now in the present and what we do with what we have will have an impact on our future. Are we making the most of it? If you are a person of faith, we work and live for an audience of one. Colossians 3:23 says "Whatever you do, do it enthusiastically, as something done for the Lord and not for men." Let's bring him glory with who we are now so we can bring him glory in whatever roles he blesses us with later.